We married in January of last year, after my husband graduated with a Master's degree in December. His loans total $65,000 and he earned $20,000 last year. I graduated in May with a doctorate in physical therapy and $175,000 in debt. My income last year was $33,000. Our combined AGI was $53,000. For our federal loans we want income-based repayment. But what is the loan payment based on? Is it shared between both of us based on our combined AGI, or are each of our loans based on our individual AGIs? How do we file our first year of IRS taxes as a married couple? Do we file married together or married separately? There are no deductions. There is no clear information out there we can find and believe. It seems that every writing is different. — C.H. 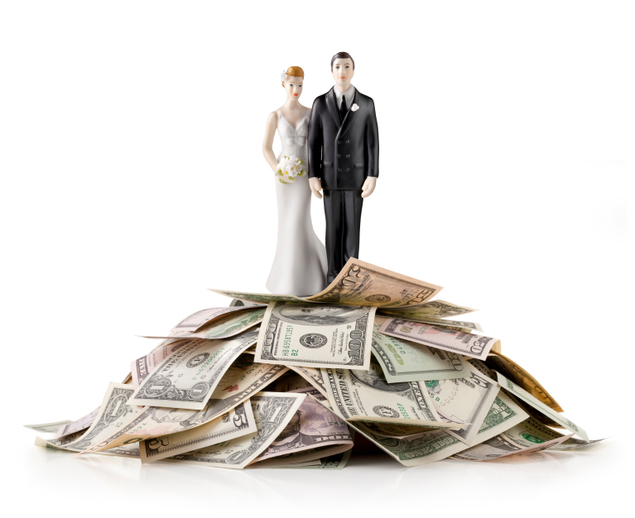 If married borrowers file federal income tax returns as married filing jointly, the combined adjusted gross income (AGI) is used as the basis for income-based repayment (IBR). The calculated IBR payment is then split in proportion to each spouse's debts. If the married borrowers file federal income tax returns as married filing separately, each borrower's individual AGI is used as the basis for their loan payments under IBR. This follows the definitions as specified in the regulations at 34 CFR 682.215(a)(1) and 34 CFR 685.221(a)(1), where it states: "Adjusted gross income (AGI) means the borrower's adjusted gross income as reported to the Internal Revenue Service. For a married borrower filing jointly, AGI includes both the borrower's and spouse's income. For a married borrower filing separately, AGI includes only the borrower's income." This special treatment for married borrowers who file separate federal income tax returns is authorized by Section 493C(d) of the Higher Education Act of 1965 [20 USC 1098e(d)]. The allocation of the IBR payment to each borrower's loans for borrowers who file joint returns is specified in the regulations at 34 CFR 682.215(b)(1)(ii) and 34 CFR 685.221(b)(1)(ii). Note that in both cases the household size would be the same. For example, if there are no children or other members of the household, the household size would be 2 in the IBR calculation regardless of whether the couple files as married filing jointly or married filing separately. The definition of family size in 682.215(a)(3) and 34 CFR 685.221(a)(3) is the same regardless of whether the borrowers file joint or separate income tax returns.